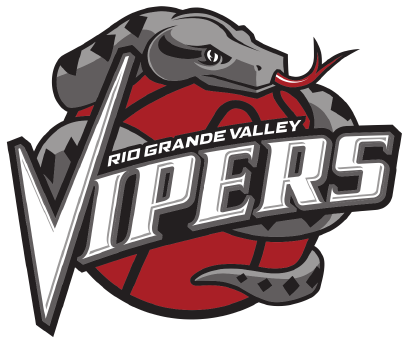 The RGV Vipers posted the lowest scoring output of their season on its final night, falling 117-91 against the Austin Spurs in the G League’s Western Conference semifinals on Monday at the H-E-B Center at Cedar Park. The Vipers shot a season-worst 19.2 percent (5 of 26) from beyond the arc and committed 20 turnovers despite the Spurs’ methodical pace. The five made 3-pointers marked a new season low, and RGV scored 50 points in the paint — well below the team’s typical output. RGV won just one of five matchups against Southwest Division rival Austin this year, averaging 102.2 points in those five games. The Vipers averaged 121.4 points per game against all other opponents during the regular season. RGV’s 26-point margin of defeat was its second-worst of the year, behind only a 28-point loss to the Grand Rapids Drive on Jan. 26. Brase said RGV’s turnovers stemmed from attempts to force entry passes to the post, as the Vipers struggled to find a footing against the Spurs’ plodding style. Hunter said RGV’s defense prevented the offense from getting rolling, as Austin shot 57.6 percent overall and 40.9 percent from 3-point range. Hunter and Monte Morris led the Vipers with 20 points each. Hunter connected on 8 of 18 attempts from the field and 1 of 8 from 3-point range, while Morris converted 8 of 13 overall and 2 of 4 from beyond the arc. Isaiah Hartenstein posted a double-double with 10 points and 10 rebounds, while Darius Morris was the only other Viper in double-figure scoring with 10 points. RGV fell into a 14-7 hole midway through the first quarter but used an 18-8 run to take its largest lead of the game at 25-22 late in the period. Austin scored the final seven points of the quarter and then used a pair of 9-0 runs — one early in the second quarter and one late — to take a commanding 63-45 advantage into halftime. The Vipers pulled as close as 14 points during the third quarter, but the Spurs maintained control to carry a 93-68 lead into the final period. Austin led by as many as 31 points early in the fourth before RGV score nine straight, but the Vipers never threatened a comeback, making the margin no tighter than 21 down the stretch. RGV earned the No. 4 seed in the Western Conference with a 29-21 record. Austin entered the postseason as the No. 1 seed, tied for the G League’s best record at 32-18 and coming off a first-round bye. Brase said he was proud of the individual strides many of the Vipers’ players made this season, while Hunter looked back positively on the team’s performance through heavy roster turnover.